Brian Chilala is known in Zambia as 'The Rebel', with his sharp lyrics satirically addressing both moral and political issues in the country. 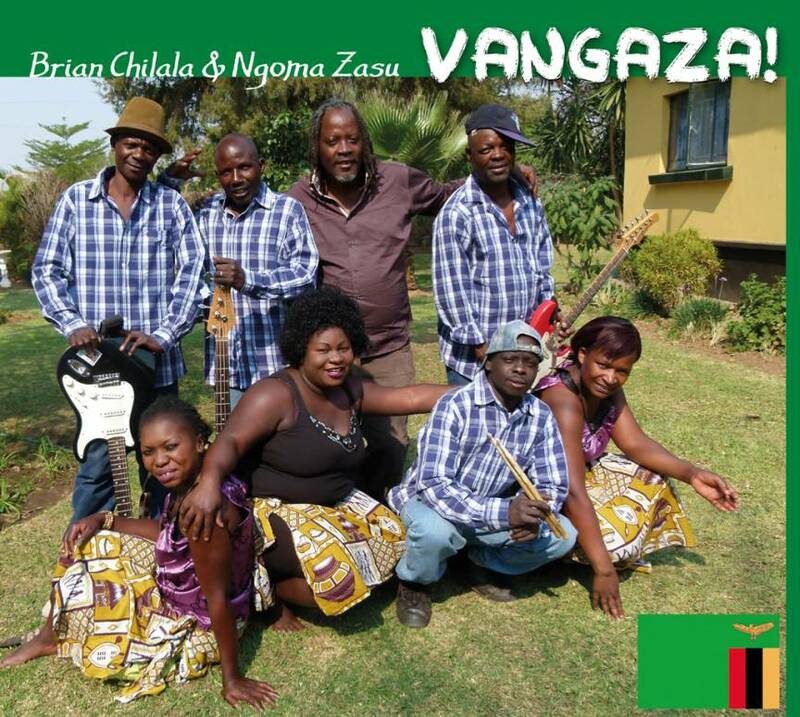 Onetime protégé of both Zamrock legend Paul Ngozi and Amayenge leader Chris Chali, Brian has been performing his own songs since 1997, when he also formed his own backing group Ngoma Zasu. They are a true pan-Zambian band playing all the dance styles from the various provinces of the country with great expertise and talent: the homegrown kalindula style is alive and well thanks to them – and live performances of Brian Chilala & Ngoma Zasu are explosive! Zambia lies not only geographically in between the Congo and Zimbabwe, but also musicologically. Looking at it that way, the music just has to be interesting and this wonderful compilation of Zambia's most energetic frontman Brian Chilala and one of the best bands in the country does not disappoint. Kalindula is back – in fact it never really went away. So Vangaza – let's dance! Afropop 2015 (USA): "Here's a rare and special find out of southern Africa. These nine tracks have a delightfully retro sound, featuring ripping fast 12/8 grooves with restless percussion, stinging electric guitar licks, and rich vocal harmonies. Nice to know groups like this still exist!" fRoots 2015 (GB): "Fast and heady dance music.......remarkable for its pure velocity, with descending vocals lines, sparkling lightly-fingered guitars, panting cross-rhythms, plenty of space and emotion."